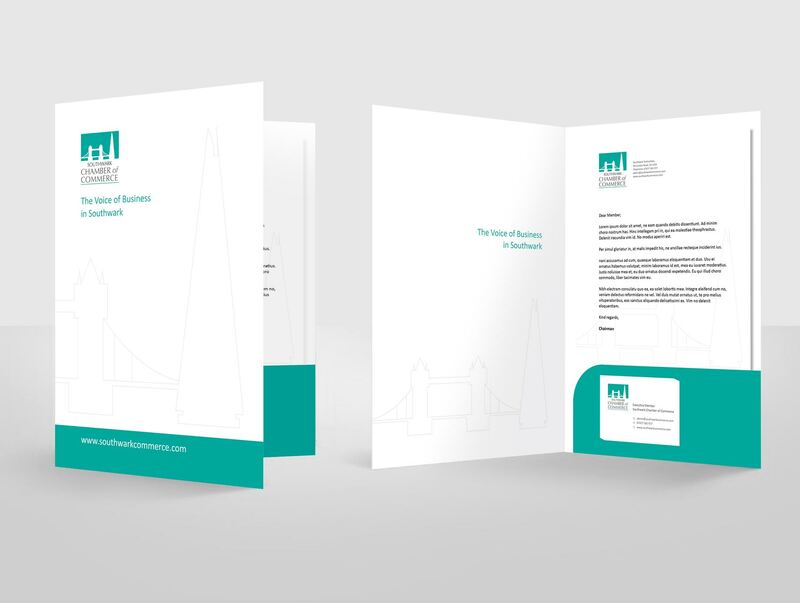 To create an identity which reflects the modernity of the organisation and recent developments in the borough whilst recognising the importance of its commercial heritage. 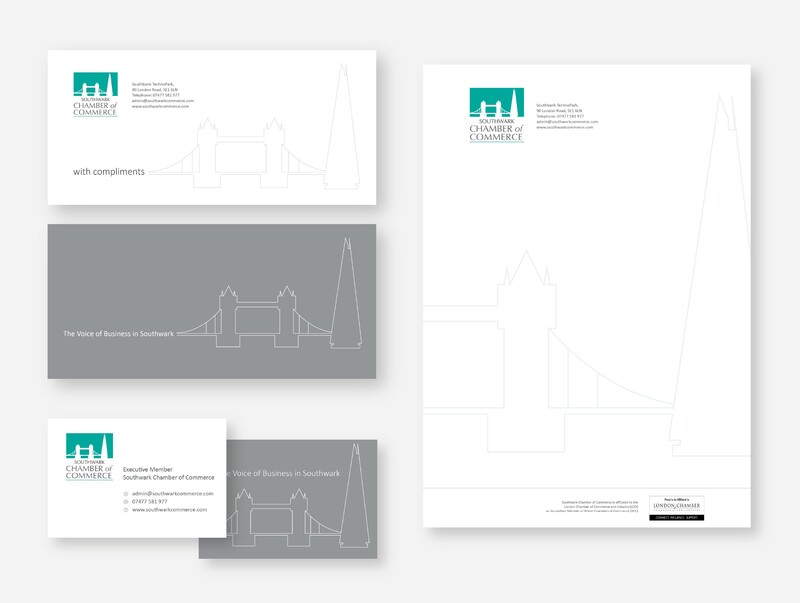 We created an architectural icon inspired graphic identity, and a line graphic silhouette for all marketing material The silhouette of Tower bridge and the Shard were a juxtapose representation of the boroughs huge commercial influence, both historic and present.The colour teal was chosen to symbolise the vibrancy of the area and the importance of the River Thames in Southwark’s commercial history. 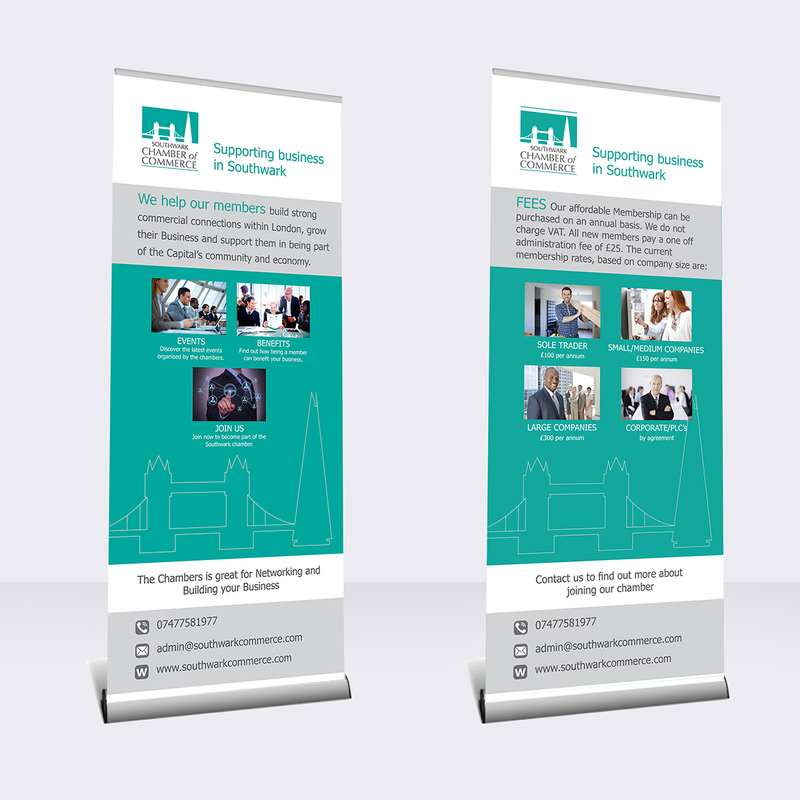 This striking new logo represents a professional and energetic organisation.